Snow in the South shuts down nearly every aspect of life. In the North, it's just a minor annoyance. We had a full day shoot on-location in Pittsburgh. Typically we try to explore a bit more than we were able to in The Steel City, but with sub-zero temps, we weren't doing anything that required more than walking a block. 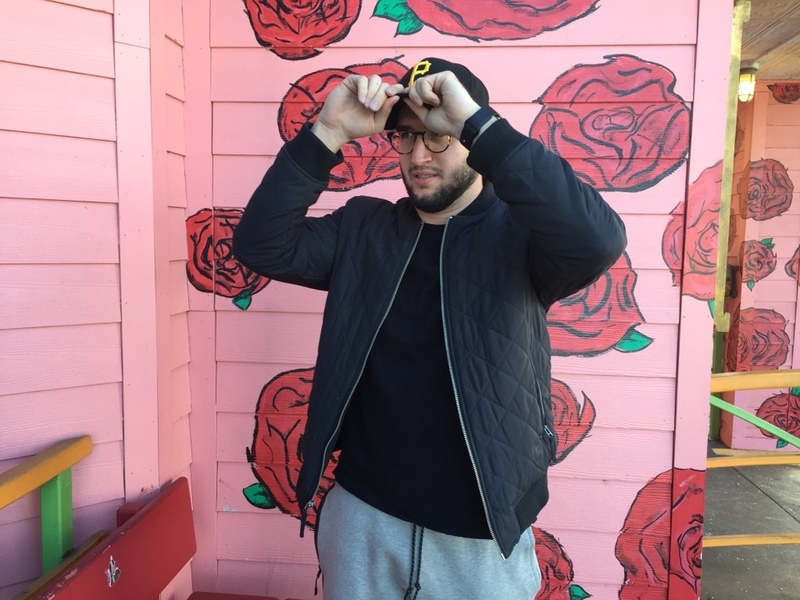 We were able to eat a Primanti Bros sandwich, see Deadpool, eat pizza in a repurposed 100 year old Roman Catholic Church and knock out a 1/2 day shoot with a fun client. Here are few snaps from our adventure! Ben Skipworth suits up in his Pirates hat for the trip. 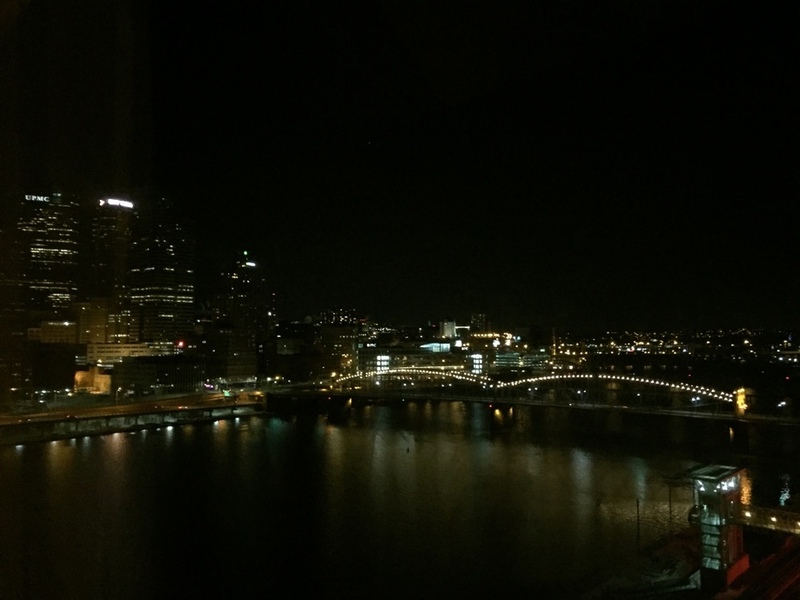 Our view of the nighttime skyline. ... and we're so glad we listened! Sunrise from the hotel room. This view was solid. 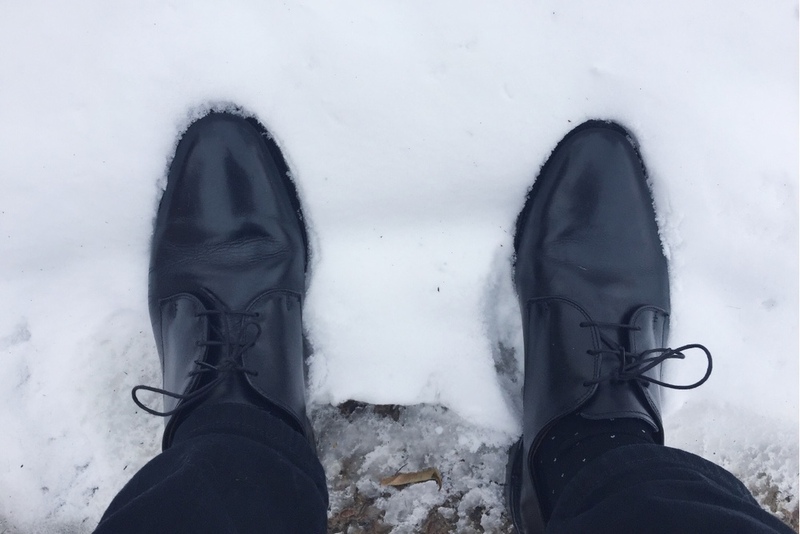 Not the best day to rock expensive dress shoes, eh? This is The Church Brew Works. It's a brewery/pizzeria built into a repurposed Roman Catholic Church. It's one of the most unique restaurants we've ever been to!